Tonrose recently visited Heimtextil in Frankfurt, the world’s largest gathering of textile professionals. The annual event attracts people from over the world and offers an impressive platform to meet suppliers and discover the latest in innovations. Terry Sheldon (Chairman), Phil Hodgson (Director), Paul White (Head of NPD) and Karen Clarkson (Procurement Manager) attended the show and reported back on their experience. There are 11 halls, some with multiple levels. Exhibitor stands range from the huge retail focused brands, all the way down to tiny shoe-box sized spaces with a table and not much else! Add to this the regular shuttle bus service and the plethora of moving walkways to aid moving around from one place to another, and you get some idea of the colossal scale and the almost impossible task of trying to get around to see everything! Even the official show directory is the size of a small phone book. For Tonrose, it offers a unique opportunity to meet with all the suppliers in one place, without the need to travel too far – though we still perform individual supplier visits of course. Given the scale of the operation, all meetings and agendas were meticulously planned to ensure we were able to spend enough time with everyone. We have long-standing relationships with all our chosen supply partners, some lasting more than 20 years. It is through these enduring relationships that we are able to offer consistency in quality and supply. We met with suppliers from Pakistan, India, China and Turkey to discuss the previous year’s trading as well as plans for the following year. Such an opportunity gives us the chance to talk face to face, discussing pricing, innovation and ethical sourcing. Another great benefit of the show is that we can meet new suppliers from various countries to gain new ideas and build new relationships around the world. 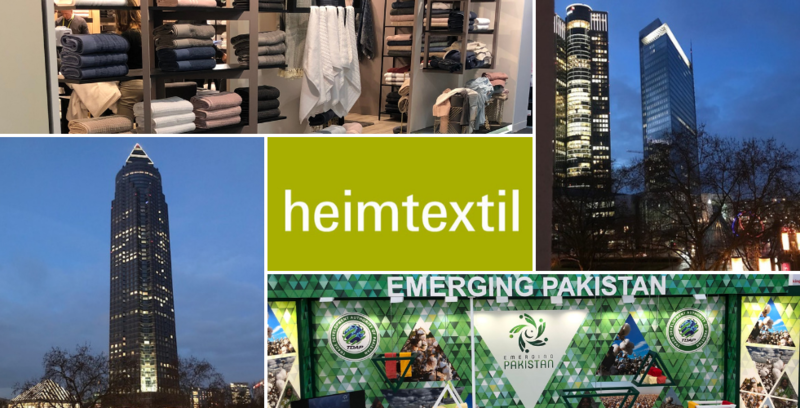 Without Heimtextil, it would be impossible to see so many different supply routes and access the textile innovations being brought to market. We get to see and feel the products as well as begin to understand their business. We are then able make the commercial decision whether to proceed to the next step and visit their organisation. Not all of the trip was strictly business of course, we also met with our suppliers (and our competitors) on a social level – including an obligatory visit to the Irish Bar! Heimtextil offers a useful meeting place for our industry contacts and is somewhere that innovation is celebrated and encouraged – Tonrose can’t wait to go back again in 2020.